Carolina Panthers Jake Delhomme, while much maligned, can be accused of being resourceful – if anything else. And that resourcefulness would be put to the test as the Panthers visited the Tampa Bay Bucaneers at Raymond James Stadium. And interestingly enough, Delhomme contributed little in this game as it was more of a rushing plethora as DeAngelo Williams and Jonathan Stewart rushed for 262 of the team’s 267 yards as Carolina allowed head coach John Fox to coach for another week by outlasting Tampa Bay 28-21. Passing wouldn’t really factor in to this contest as both quarterbacks – Delhomme and the Buccaneers’ Josh Johnson, combined for a total of 212 yards. 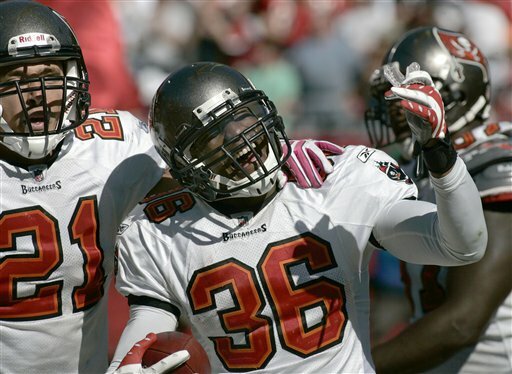 The first half, like the Buccaneers sinking ship, was listless as only two scores took place – one on a 20-yard touchdown run by Tampa’s Carnell Williams and coincidentally another 20-yard run by Carolina’s Williams – which would allow both teams to slink into their respective locker rooms at halftime tied at 7.
Business would pick up markedly in the third quarter as a 1-yard Delhomme-to-Jeff King TD pass would give the Panthers a 14-7 lead; they would further pad their cushion at 21-7 on a 26-yard Stewart TD run. 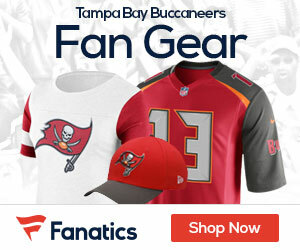 At the 2:17 mark of the third period, special teams would allow the Buccaneers to narrow the gap to 21-14 on a 97-yard kickoff return by wide receiver Sammie Stroughter; defense would benefit Tampa Bay as safety Tanard Jackson scored on a pick-6 with 8:33 of the fourth quarter, tying things up at 21. But as the remaining 6:27 of the game would indicate, Delhomme would lead the Panthers on a drive which would be capped by a game-winning 1-yard run by Williams with only 29 seconds remaining in the game. As previously mentioned, passing was a mere afterthought for both teams as Delhomme went 9-of-17 for 65 yards with a TD and 2 interceptions while Johnson went 11-of-17 for 147 yards and an INT. Williams had his first 100-game this season, rushing 30 times for 152 yards and 2 TD’s while catching 2 passes for 20 yards; Stewart added 110 yards on only 17 carries. Williams led the Biccaneers rushing attack with 16 carries for 77 yards and a score while Johnson added 45 yards on 8 carries. Muhsin Muhammad led all Panthers receivers with 3 receptions for 27 yards while Stroughter led the Bucs’ receivers with 3 receptions for 65 yards. Carolina (2-3)makes the short trip home to host the Buffalo Bills next Sunday while Tampa Bay (0-6) has their work cut out for them as they remain home to host the New England Patriots – also next Sunday.